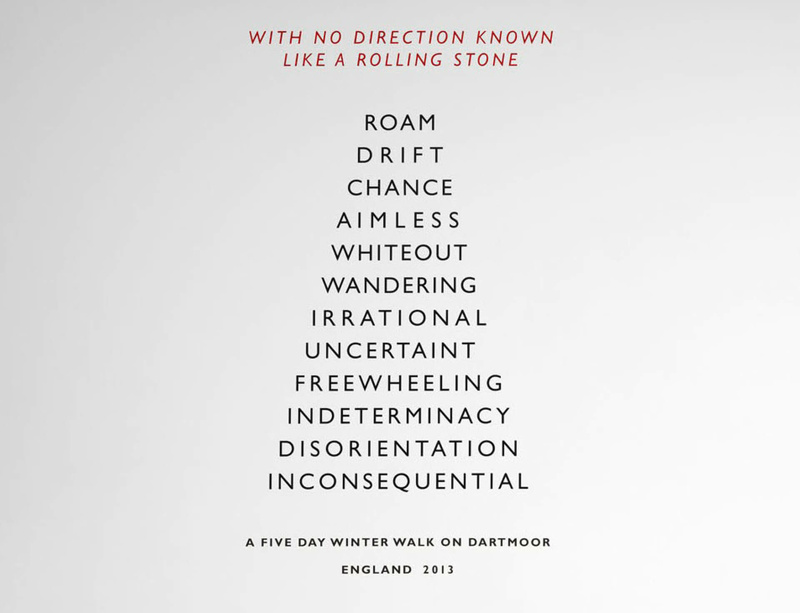 Time and Space is a new exhibition by Richard Long. Part of the programme celebrating Bristol’s year as European Green Capital, the project looks particularly at the area where Long grew up and still lives, as the start and end point for many of his early walks and text works. The exhibition focuses on the artists’ personal relationship to place and local materials, and how the ideas and language developed through his early career were key in the development of ideas that the artist now realises across the world. Time and Space includes sculpture, drawing, photography and text works that date from 1967 to the present. The exhibition features a number of important early works, which are key to understanding the significance of Bristol and the South West in Richard Long’s practice, including an early sculpture, Ireland (1967), which will be remade in the galleries. The exhibition will include two major new works: a large sculpture made from Cornish slate and a wall work made with mud collected from the River Avon. Also included will be a selection of new mud fingerprint drawings on driftwood collected by the artist, as well as a selection of photo works and installed vinyl text works.